Exclusive SALE is ON! Get upto 80% OFF on Products. Hurry! Limited Time Offer. 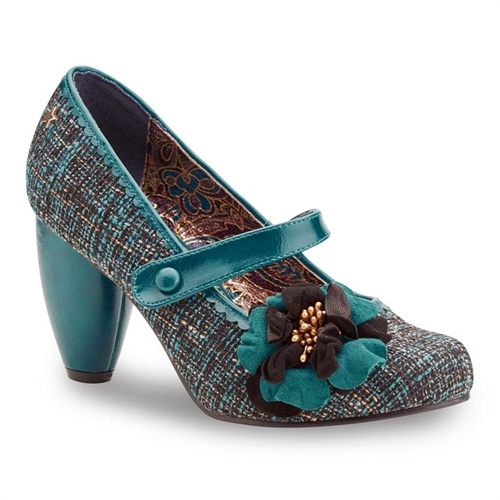 Joe Browns Rosalind shoes have a stylish mix of fabrics that create a vintage-inspired look compete with modern detailing. 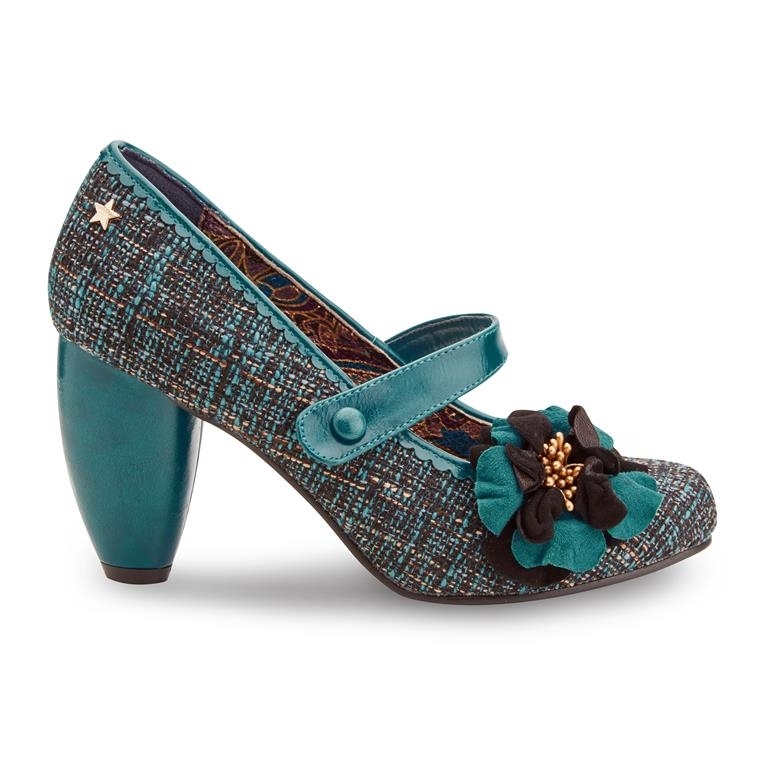 The woven tweed upper is on trend for the coming season and features teal, black and beige colour woven threads. The stunningly rich teal green faux leather scallop trims match with the fixed mary jane strap and a chunky high heel. These Joe Browns fashion shoes have a round toe and funky star print soles along with the Joe Browns gold colour metal star logo badge at the heel. The vintage style fabric flower corsage at the toe has layers of teal and black faux suede finished with a metallic dark colour beaded centre. Beautiful winter shoes! Bettie Vintage offers a range of delivery options so you can have your order delivered when it suits you. Copyright © 2019 Bettie Vintage. All rights reserved.